Four of the British marathon runners selected for the Rio Olympic Games have been named by British Athletics for the half-marathon team cup event at the European Athletics Championships in Amsterdam, Netherlands, from July 6-10. Brothers Callum and Derek Hawkins, Tsegai Tewelde and Alyson Dixon, who are all due to represent Great Britain over 26.2 miles in Brazil, have targeted a team medal-winning performance in the half-marathon at the European Championships as preparation for Rio. The championships will also provide Tewelde with his British team debut. Sonia Samuels, who is the fifth member of GB’s Rio marathon team, has passed on selection for Amsterdam in order to focus on her preparations for the Olympics. 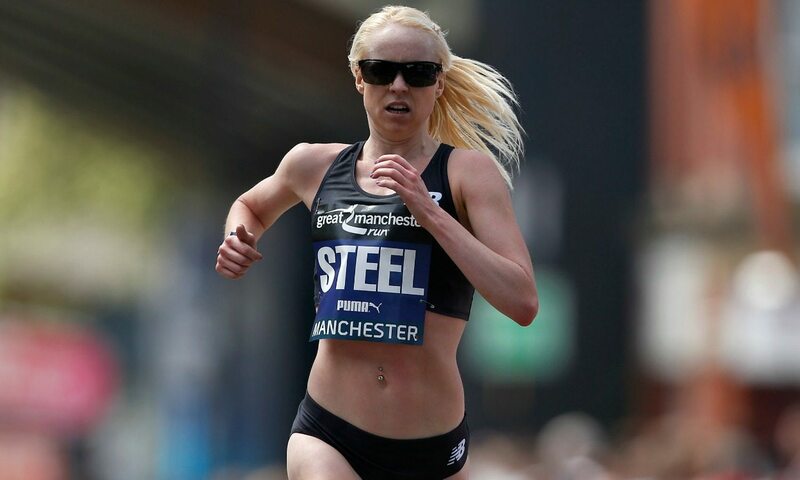 Gemma Steel, who on Sunday continued her comeback at the Great Manchester Run after injury and illness struggles, also heads to Amsterdam, where she will be joined by Dewi Griffiths, Scott Overall, Jonathan Hay, Tina Muir, Charlotte Purdue, Susan Partridge and Lily Partridge. “These are two very strong teams and we firmly believe both can finish on the podium in Amsterdam this July,” said British Athletics performance director Neil Black. “With a European Championships and Olympic Games scheduled so close together you have to take a sensible approach to selection and look at what is best for each athlete as an individual. With a firm focus towards Rio, we have liaised with athletes selected for the Olympics, and their coaches, before making a decision on selection. As will be the case with selection for all track disciplines at the European Championships, we believe for some athletes running in Amsterdam will benefit their performance in Rio, whilst for others, as in Sonia’s case, this competition was never part of the season plan. The full British squad for the European Athletics Championships in Amsterdam will be announced following the British Olympic trials on June 24–26. British Athletics has also announced its team for the European Cup 10,000m in Mersin, Turkey, on June 5. Lauren Deadman leads the women’s team after her personal best performance at the Highgate Harriers Night of 10,000m PBs last Saturday. The Havering athlete improved her best ever time for the distance to 33:05.55 as she finished seventh in the race. She competed for the British team at the European Team Championships in Cheboksary last year, placing eighth over 3000m, but will be stepping up to 10,000m on the Turkish track. Deadman will be joined by 2012 European cross country under-23 champion Jess Coulson and Jenny Nesbitt, who will make her first GB track appearance. Derby’s Ben Connor was just three seconds outside his lifetime best at Highgate but his 29:21.47 clocking shows he is nearing the form of his life. He took fifth position in the race overall and heads into the European Cup in confident mood. Joining Connor in the men’s team are Andy Maud, who earns selection after a career best of 29:42.43 last week, and Luke Caldwell, who last competed for Great Britain & Northern Ireland over cross country in Bulgaria two years ago.